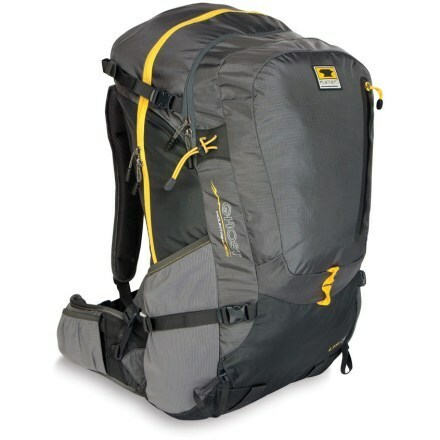 The Mountainsmith Ghost 50 pack delivers unique comfort, exceptional breathability, and 50 liters of carrying capacity for weight-conscious backpackers in hot weather. Innovative hipbelt and lumbar padding accentuate the body's natural ability to bear weight on the hips and lumbar region, and provide a comfortable ride on the shoulders. 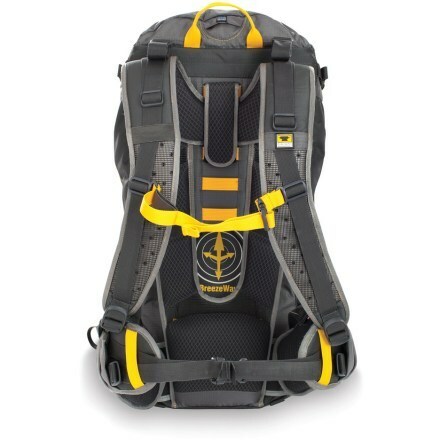 Built with durable, lightweight high tenacity nylon and loads of ergonomic features, this pack will ensure years of fast, light, and comfortable trail use. - Perforated Air-flow shoulder straps with Zonal Load Dispersion padding for increased circulation. - 3 point height adjustment yoke shoulder strap system accommodates short, medium and long torsos..
- Breezeway suspension backpanel for increased breathability. - Lumbar Control Point pad. - Diamond airmesh foam back panel and waistbelt with DWR anti-sweat finish..
- Contoured polyethylene (PE) framesheet and spring steel hoop for increased load support..
- ICS Cup waistbelt fitment (ICS - Illiac Crest Shelf). .
- Pivoting dual density waistbelt for optimal load transfer. .
- Front adjusting X configuration waistbelt attachment . - PE frame waistbelt slider enables horizontal and vertical positioning and adjustment . - Delta Wing Compression waistbelt adjustment . - Side mesh waistbelt stash pockets . - Elastic sternum strap and bite valve catch . - Internal hydration bladder sleeve with exit port . 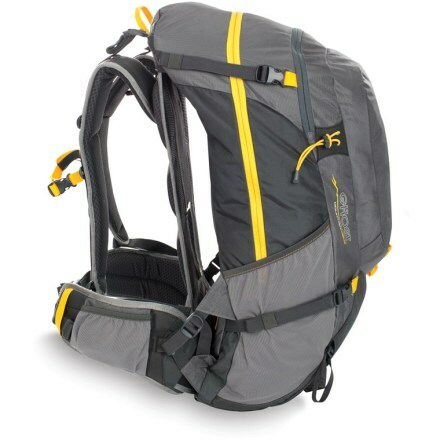 - Anti-sag hydration bladder harness. - Side compression straps with quick release hardware . - Tuck-away tool & trekking pole mount loops . - Zippered front panel stash pocket to fit 'Ten Essentials. - Bottom panel mounting loops. - Side panel accessory pockets fit SIGG and Nalgene style water bottles. - Waist belt width: 1.5"
- Wait belt circumference: 28" - 48"
- Torso size: 17" - 22"